Colt 1908 .380 ACP magazines have 6 viewing holes. 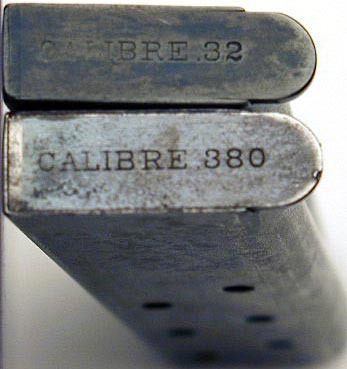 Colt Model M .32 and .380 single line magazine variations. This variation followed the unmarked base plate variation for both calibers. 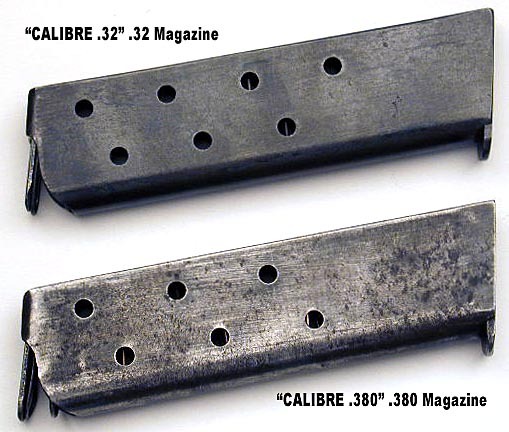 Colt Model M Magazine Profiles - .32 caliber magazine has seven viewing holes in the side and .380 caliber magazine has six viewing holes.